In the past I may have cast aspersions about the sort of people prone to attending, say, Star Trek conventions – but given that I sprang out of bed on Saturday morning at 6am and drove to the SoCal Vintage BMW Meet at Woodley Park in Van Nuys, I musn't be so quick to judge how people enjoy their leisure time. I spent much of the previous afternoon waxing and polishing my BMW 2000C (aka "Klaus") to patinated perfection, and was so excited at the distant prospect that it could win some lesser trophy at its pageant that I was nearly unable to sleep. For real. I’m finding it’s an awkward and curious thing, parading one’s car at a car show, this being the second time in a month (and in my life) that I have done so. Cars for me are very personal, almost like kids, and part of my story both figuratively and now literally; parking Klaus in a field and inviting strangers to judge got me feeling like a protective parent. And between the fellow parents, while sharing in the camaraderie and experience, there’s a sense of rivalry as each wants their car to win, creating a more charged politic than perhaps first meets the eye. I agree with former BMW design chief Chris Bangle’s idea that cars are our personal avatars, so through them aren’t we seeking a measure of validation for ourselves? Who’d have thought a car show could be such an emotional minefield?! 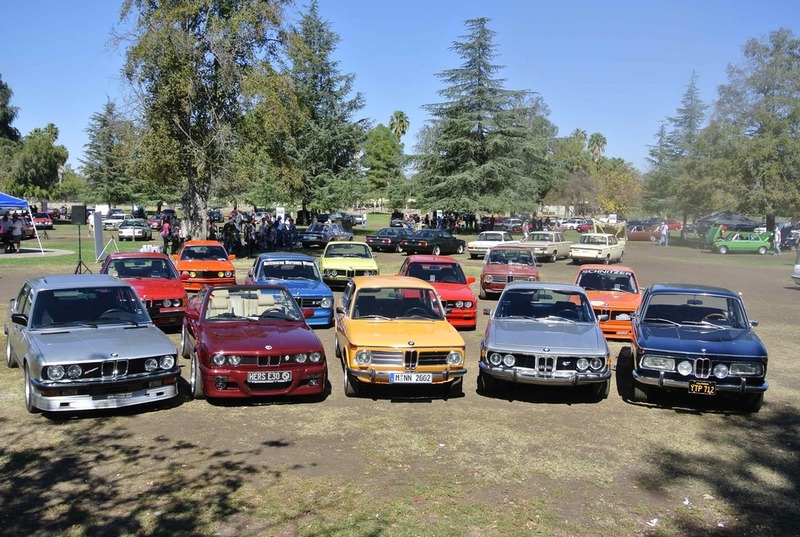 While BMW started building cars in 1929, it wasn’t until the late 60s that things really took off for the brand in the States with the beloved 2002 sport sedan, and that’s more or less where the enthusiasm begins for younger fans at the SoCal Vintage BMW meet, now in its six year. The older crew tend to like the pricier 6-Cylinder CS coupes from the 70s, which leaves Klaus -- a less powerful 1967 4-Cylinder coupe -- in a sort of limbo. Or perhaps I'm just griping because, alas, he wasn't festooned with ribbons and trophies. The rarest and most valuable of classic BMWs – namely the BMW 328 Roadster from the late 30s, BMW 507 Roadster from the 50s and the BMW M1 supercar from ’78-’81 – were absent, but in their place were nearly 350 examples of Bavarian Motor Works’ most popular hits. Here are a few of my favorites, together with some links to resources for those interested in learning more. 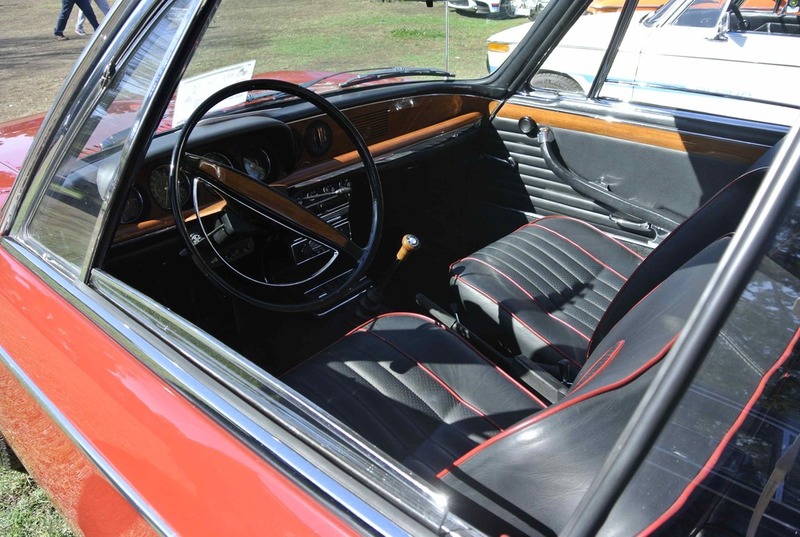 BMW 2000CS (1967) – This is same vintage and model as Klaus, but beautifully restored to better-than-new condition with a plush leather interior and Borrani-style wheels which, I learned from its owner, were optional back in the day. Says Scott of his BMW: “When I got this car, I knew nothing about the history of the 2000CS, which is the precursor to the later coupes including the 3.0 CSi. I found it in Santa Cruz on eBay four or five years ago, and it was in very rough shape; the engine had major issues although the transmission was basically sound, and the interior was shot. 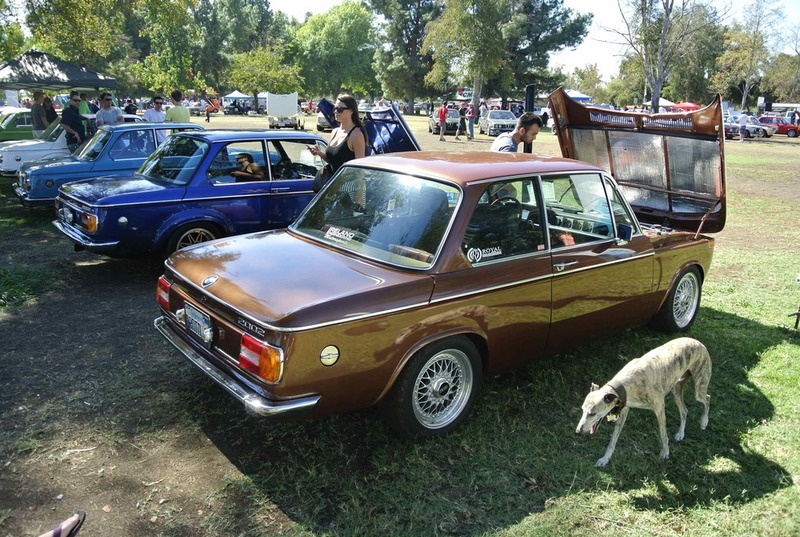 Fortunately while attending the Monterey Historic Races I met Carl Nelson of La Jolla Independent and together with another expert in San Jose, they became my source and reference point for restoring much of the car.” Click here to learn more about the BMW 2000 Coupes. 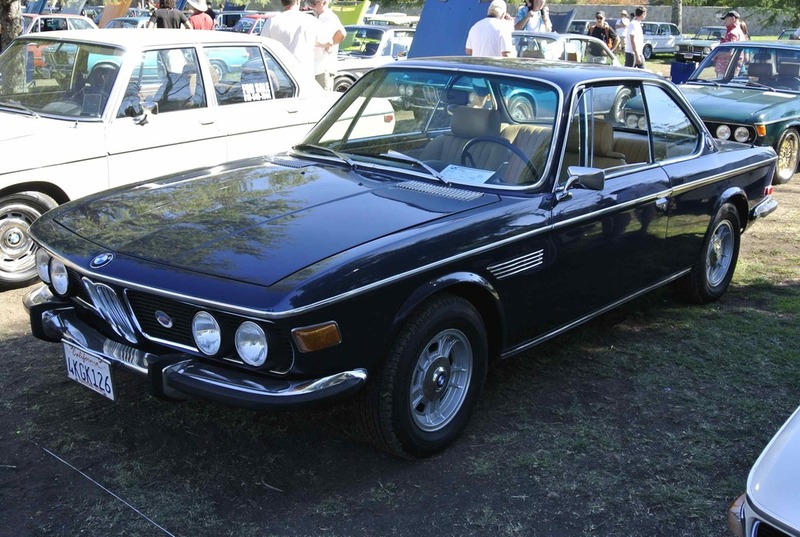 BMW 3.0 CS (1972) – Owned by Paul Bronstein of Manhattan Beach, CA: “I started with cars in the 50s, and with a friend I used to bring grey market cars from Europe into the US and sell them. I had a couple of Jaguar XK120 coupes that suddenly became valuable – so I traded them for a bad, rusty Ferrari 246GTS Dino with a broken crankshaft. But I couldn’t afford to fix it, and my friend said he’d get two BMW coupes as trade for my Dino, and I said, done! It was 1983, and he federalized both a silver car – which I later sold – and this blue one, which Peter Sliskovich at Coupe King helps me to maintain. My friend eventually fixed the Dino and sold it for twenty-nine grand [Editor’s Note – Dino values start around $200,000 today]. BMW 1600 ti Cabriolet (1969), owned by Potor Cordos: "I’ve had it for about 20 years, and found it in Germany between Cologne and Bonn. I kept the car in Germany before bringing it to the States about two years ago, and have done a fair amount of work on the body, but the motor is original and so is the interior – except for the seats that I replaced a few years ago." 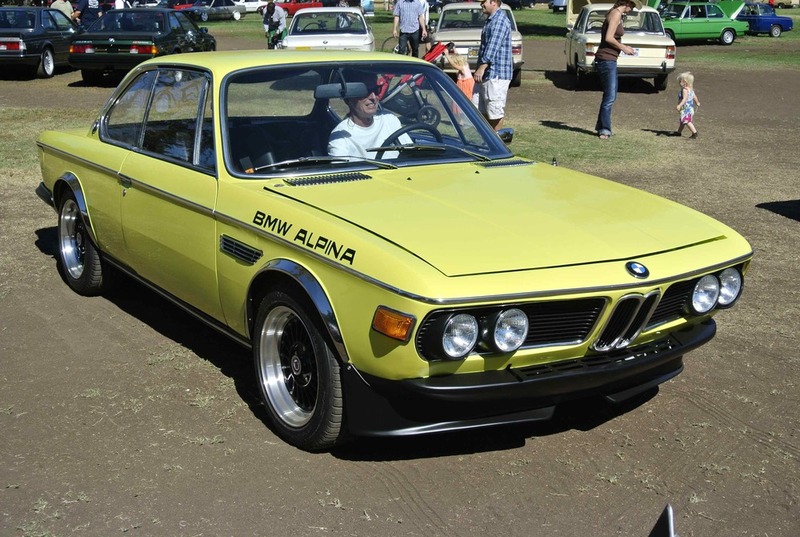 CSL Alpina (1972), owned by Ben Miller of BMW 2002 AD - "When I found the car in Japan, it was painted white, then I opened the hood and trunk and saw the original color was Golf yellow, the color I wanted, so I bought it. I know of only two CSL Alpinas in the states, plus a car in France. I believe there were only 15 ever built."